Aldermen take last stand on grand subsidy. 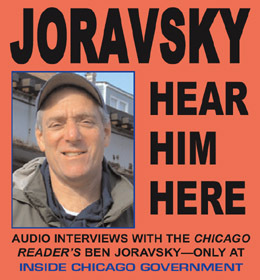 This first-in-a-series audiobook features hours of Dave Glowacz's in-depth interviews with Ben Joravsky about TIF since 2014. Budget guru edsplains 2017 state formula. The fate of Emanuel's "cocktail train"
Is O'Hare express rail on a track to nowhere?